When Fishing News last visited Littlehampton, in September 2011, there was a lot of frustration from the fishermen due to having their pontoons removed and being forced to moor on the other side of the tidal Arun River, restricting their time at sea, reports John Periam. Above: Pontoons get very full of fishing gear when boats are moored up, restricting crew and storage space. There have been a lot of changes to the town since then – mostly to attract the tourists, while at the same time giving property developers the opportunity to build riverside houses for the better-off. It is a sign of the times, and now the riverside walks have been upgraded and tourists fill the restaurants, while their children fish for crabs. 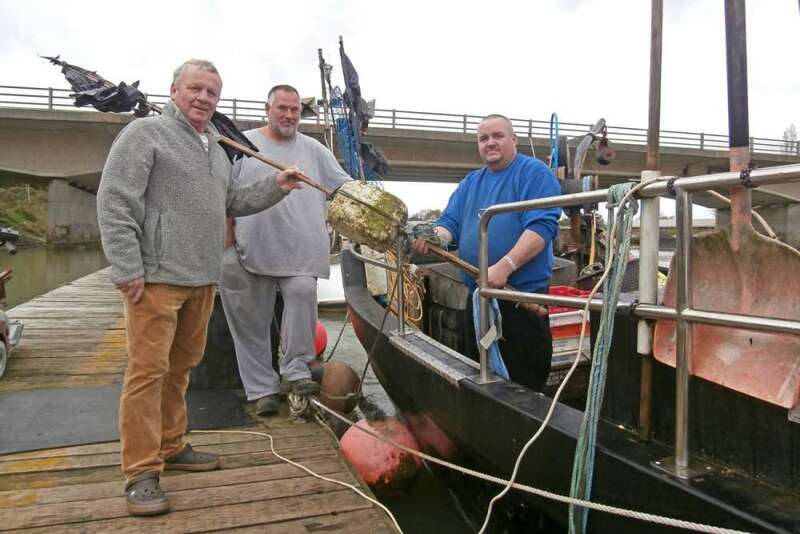 Fishermen Danny Clark, Mike Mayers and Sean Hunter on the fishermen’s pontoon at Littlehampton Marina. The town encourages visitors by offering free parking in many areas, which supports many of the established family businesses. Browns Seafoods is based on the Riverside Industrial Estate. It was once called Aglaia Seafoods, which was founded some 31 years ago by the grandfather of the current manager Jay Hunter. Browns purchased it 10 years ago to add to its branch in London-based Park Royal, which has 12 vans that distribute across the city. 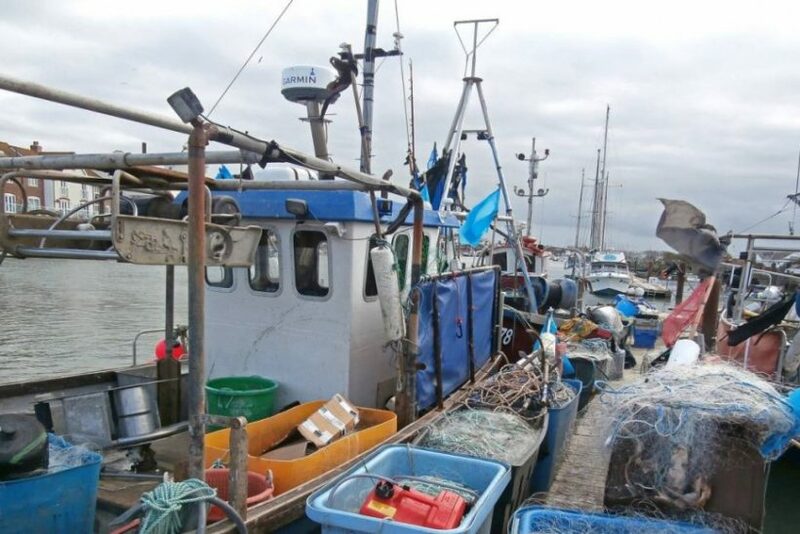 Pontoon berths are being paid for so older boats can be used for storage by the fishermen. Paul Hill, Paul Chiles and John Kendall sorting out the nets on Voyager. 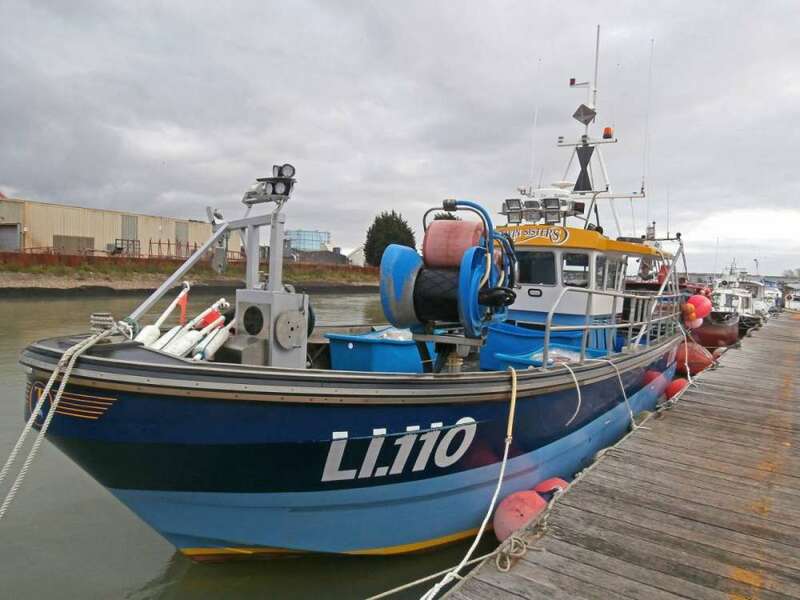 Quotas are what this industry is all about, and 7D, which is Littlehampton’s area, is always at the bottom of the list. 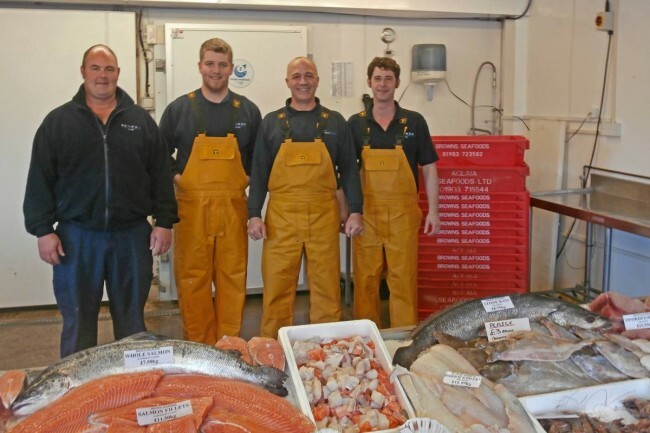 “Last week they reopened the undulate fishery – we have a large one here and Jersey has another. The dividing line is outside Portsmouth. They have 22t and we have two as our allowance. 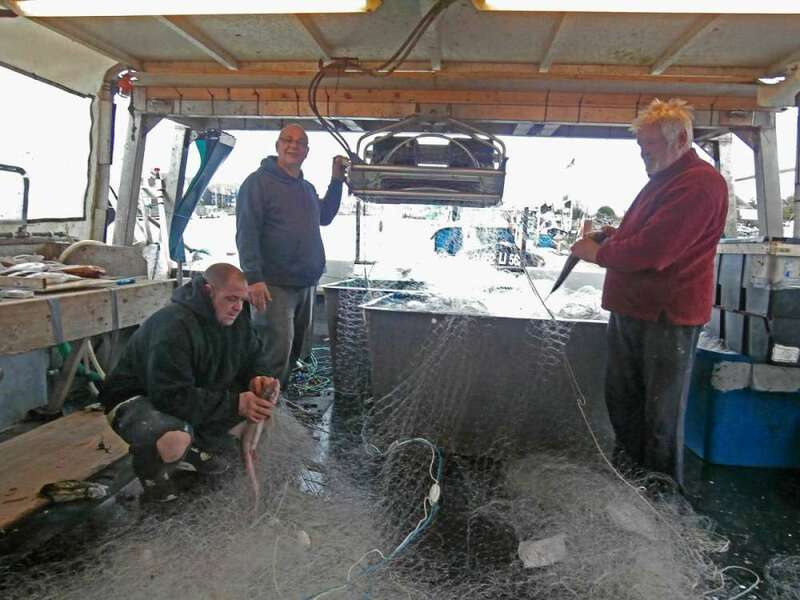 Undulate skate are just like greenfly in a rose garden to us, as there are certain areas that an unwanted over-catch destroys our gear,” said Danny. The Littlehampton fishermen have traditionally always made a living by working at most a mile off shore. Due to the fact that they can’t catch cod, they have to target sole, which takes them up to four miles off. We work single-handed, and it is putting our lives at risk. This was proven today as Sean returned back from a trip in weather he should not have gone out in. “Inshore fishing is a cottage industry and we don’t need a quota; we need to be able to catch fish when we can. The weather is our quota. Last week I did not earn a penny. Gear is costing more, I have nets that have not been used, and the planned change to bass size from 36cm to 42cm will mean some of my current nets are useless,” added Sean. Boats moored-up with the new empty pontoons on the opposite side of the River Arun, where the fishing boats used to be. There is support from Nigel Graffam, the Duke of Norfolk’s estate manager, who feels the fishermen have not been treated well, and if there was an opportunity to allowing mooring on their estate they would do just that. He has spoken to the Harbour Board and received no positive response. A planned MCA will have an effect on shellfish and, likewise, the new windfarm could offer some small restrictions. As soon as one problem goes away, another arises. “If the British public read Fishing News they would have a different view on the state of the fishing industry. It is time the national press supported us like they do the farming industry, providing they gets their facts right,” said Mike Mayers, endorsing Sean’s comment. 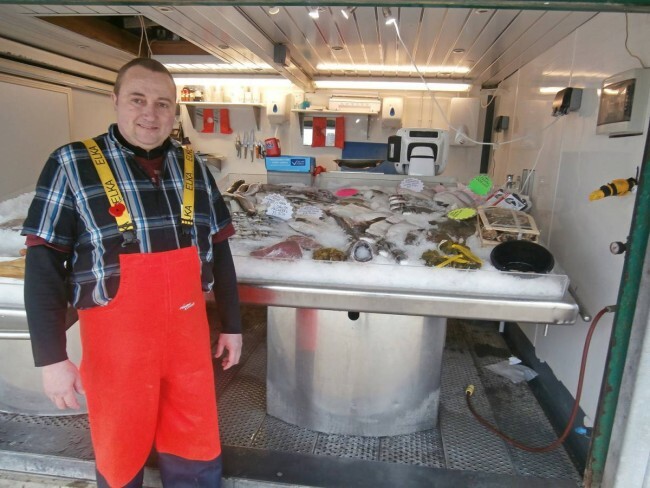 Simon Finch, manager of Riverside Fish likes to make sure he has a nice display of fish for his regular clients and visitors. Support for the governing bodies in the UK was there. Paul Johnson the Regional Principle Fishing Officer for the MMO is felt to be doing a good job, considering his hands are somewhat tied by Brussels. Likewise, the IFCAs are protecting the established fishing industry. Conservation is important, providing it is controlled and the increase in illegal fishing methods are monitored. Twin Sisters, a Kingfisher Fastcatch 33 owned by Gary Poston, moored-up at Littlehampton Marina. 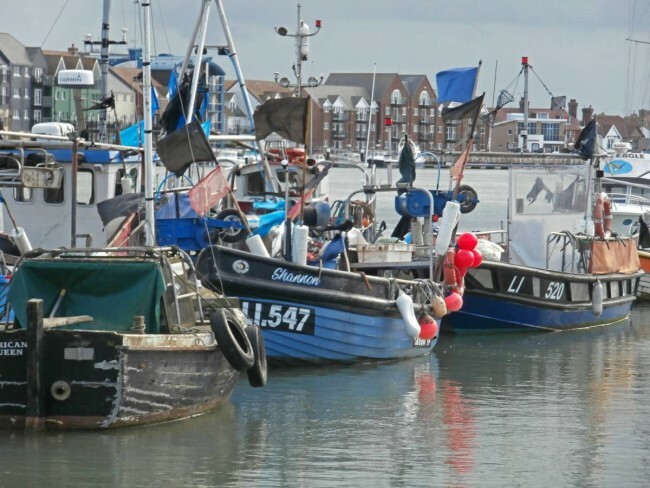 In conclusion, both of the major fish outlets at Littlehampton showed their concerns for the current state of the industry. 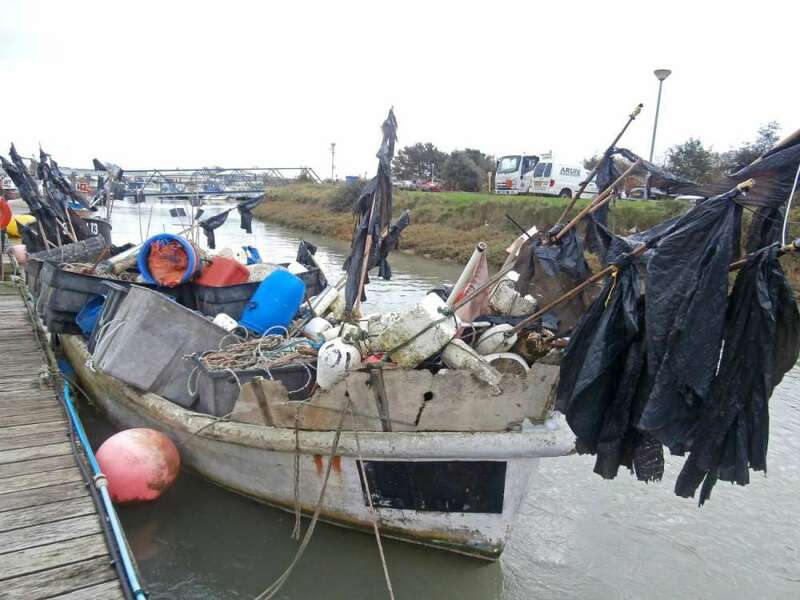 “It is sad to see local fishermen having to risk their lives going to sea in inclement weather to catch fish. We should be able to purchase fish from the fishermen I can see each day moored across the water. What we now purchase is very little compared with fish we have to import from other ports. It amazes me how some have managed to survive. They are a hardy bunch. I try to explain as often as I can to my customers the problems this industry is going through. 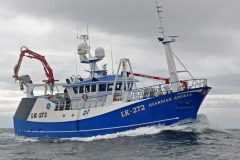 The industry always gets a national mention when a fisherman is lost at sea, but there is very little about the conditions they currently have to work in,” said Jay Hunter.